At first glimpse, Durban seems like any other sprawling metropolis; but scratch beneath that surface and a bright, cosmopolitan and historically diverse city emerges. The heart of KwaZulu-Natal, this is a city that prides itself on its association with a tribal past yet has embraced a future of industry, art and tourism. 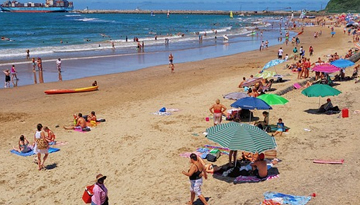 Durban is a playground for the adventurer, and its warm climate makes it accessible all year round. With vast stretches of beach, and mountainous plains it is an ideal stepping off point for hiking, mountaineering and walking routes which plunge the visitor deep into South Africa's scenic splendour. Back in the city, history comes to life with many museums dedicated to a past of mixed fortunes as well as galleries and the largest aquarium in the country. 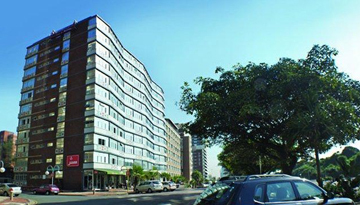 For the sporting enthusiast Durban is not short of facilities especially cricket and rugby. While for the culture vulture the Markets of Warwick house the largest street market in South Africa. Food, drink and an exciting night life bring extra vibrancy to this vast city; with more than its fair share of entertainments, theatres and bars and restaurants. This is a city of superlatives; but each more than deserves its name. This is a modern suite hotel & rooms that are all equipped with mini bars with 4 star accommodation. 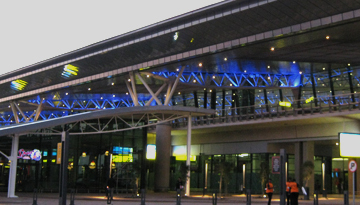 Fly from London - Durban & Stay for 5 nights with 3 star accommodation. Room Only.